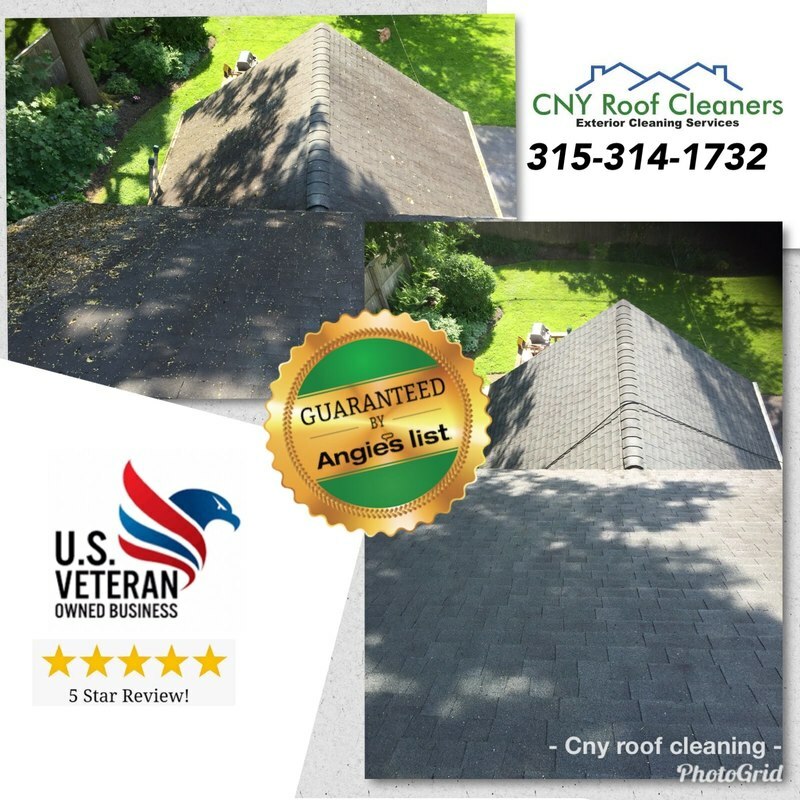 CNY Roof Cleaners has gotten to know many home owners that reside in Baldwinsville, whether it was from doing Roof Cleaning, Snow Removal or Ice Dam Removal. We our very grateful for the wonderful long lasting relationships that have been developed with the homeowners of Baldwinsville. We know that Baldwinsville homeowners have the highest standard of house care and take great pride in their homes. Many of our clients, friends and family come from Baldwinsville which is a wonderful village that is clean and orderly. 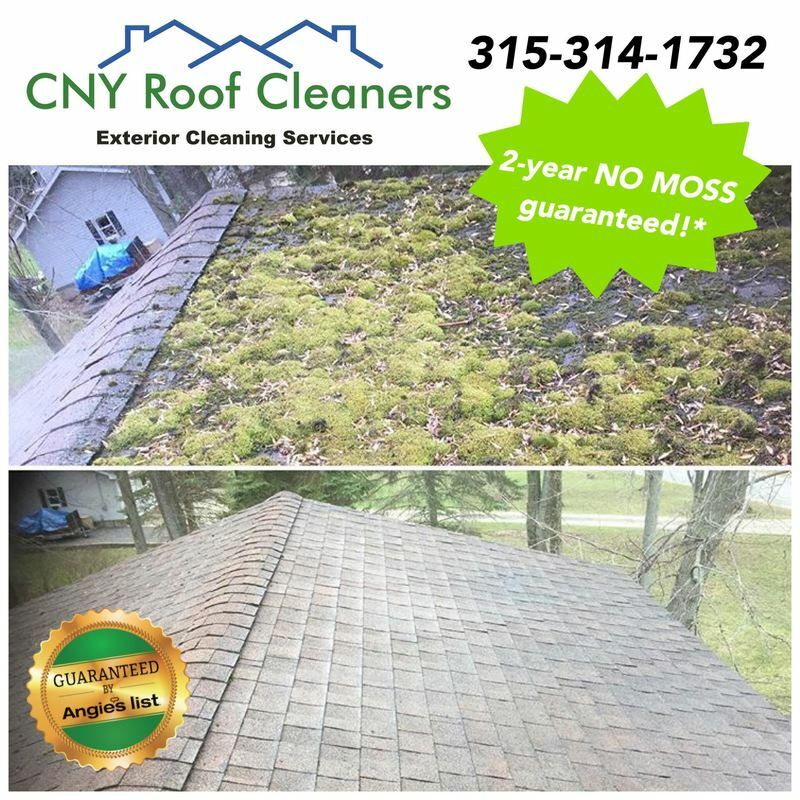 Report: We've seen many Baldwinsville houses that have mature landscaping or that are located by the river have developed roof moss from all the moisture that the environment brings. The problem with this is that the moss growing can deteriorate the roof by feeding off the materials within the asphalt or cedar shingles. This moss unfortunately brings algae that can create the black stains on roofs, tiger striping on the gutters and is often seen on vinyl siding.